The cover of Christian B. Miller’s book, The Character Gap, has a picture of Gandhi at the top and Hitler at the bottom with a graded spectrum between them. The picture is fitting, for one of Miller’s central theses is that most people are neither as bad as we could be nor as good as we should be. We are, instead, a muddle. The question that arises, then, is how we can become better than we are. Miller is A. C. Reid Professor of Philosophy at Wake Forest University and Director of the Character Project. Funded by the John Templeton Foundation, the project examines character from the perspectives of psychology, philosophy and theology. It maintains a website for scholars (thestudyofcharacter.com) and for a general audience (thecharacterportal.com). The Character Gap is divided into three parts. Part I examines what moral character is and why it’s important. In general, as Miller defines it, character is the “unique collection of characteristics or traits that are centrally important to who you are and how you act.” Your unique collection includes moral elements (virtue and vice) and nonmoral elements (personality, aptitude, style). But what are virtue and vice? Miller argues that virtue has four features: It leads to good behaviors that are “appropriate to a particular situation,” “performed in a variety of situations relevant to the particular virtue,” and “done for the appropriate reasons or motives.” Thus performed, these actions result in “a pattern of motivation and action that is stable and reliable over time.” A virtuous person, we might say, does the right thing at the right time for the right reason and does it repeatedly and reliably. Surprisingly, vice shares “the very same features virtues that virtues do. The main difference is that they are oriented in the opposite way.” One further twist on vice is that it occasionally mimics virtue. “Like virtuous people,” Miller writes, “the vicious often do good things for others.” Why? Because they believe that other people are watching them. Now that we understand virtue and vice better, can we make any generalizations about the character of most people? We tend to rate our friends as virtuous and our enemies as vicious, but Miller thinks this is a mistake. Part II explains why. Over the course of successive chapters, Miller summarizes empirical evidence derived from empirical studies pertaining to four topics: helping, harming, lying and cheating. As he reports the findings of those studies, a pattern quickly emerges: “most people have characters which are neither virtuous nor vicious. They instead fall in a middle space between virtue and vice.” Their character, in other words, is imperfect and unresolved. They have the capacity to act a lot better, but also a lot worse. Instead of repeating all the evidence Miller cites for this conclusion, I’ll simply ask you to examine yourself. My guess is that you’re a decent person, a good neighbor. But if you’re anything like me, you’ll also admit that you don’t always do the right thing. Even when you perform the right behavior, you might do so at the wrong time or for the wrong reason. You are not as good as you should be. By the same token, you’re not as bad as you could be, however. You might fail to help a motorist in need, or harm your spouse with a cutting remark, for example. You might lie to get yourself out of a jam, or cheat your way through your driver’s test at the DMV. These things are bad, of course, but the people who do them rarely do them to the nth degree. In other words, we’re neither Gandhi nor Hitler. We’re somewhere in between. But we can become better, morally speaking. How to do so is the focus of Part III. Miller considers a variety of strategies for becoming more virtuous people. He begins with what he calls “some less promising strategies.” These including doing nothing, virtue labeling, and nudging toward virtue. Doing nothing is a counterintuitive strategy, until you realize that some virtues come with age and experience. (If you don’t believe me, trying teaching a newborn baby patience when feeding time comes around.) Virtue labeling means naming and honoring those behaviors and traits that you want to see more in others. Nudging means structuring choices in such a way that good choices are the default option, while bad choices must be consciously chosen. The basic problem with these strategies is that they promote a desired behavior, but not necessarily the right motivation for it or an enduring character that alone can sustain it. Miller thus turns to “some strategies with more promise”: moral role models, selecting our situations, and getting the word out. Moral role models are self-explanatory. Selecting our situations means that “we should actively seek out those situations which are going to inspire us to act well, while actively avoiding those situations that are fraught with temptation and other pitfalls.” Getting the word out means understanding the “tendencies” or “desires” that shape our behavior. If we understand what motivates us to do either the right thing or the wrong thing, we can identify our worse motives and choose better ones, thereby changing our behavior. The Character Gap ends by considering strategies for “improving our characters with divine assistance.” To this point, Miller’s advice has been secular in orientation. Most religions offer advice to people for changing their character, however, advice that philosophy and psychology typically ignore. But Miller suggests that Christian faith offers unique resources for what theologians call “sanctification,” the transformation of our character to conform it to Christ’s. He specifically mentions Christian rituals and practices (such as prayer and fasting), participation in a community of faith, and the direct work of the Holy Spirit as three such resources. And yet, I cannot also help but think that while the Holy Spirit does not leave us only to our own devices, He does in fact expect us to use those devices in cooperation with Him. As Paul wrote, “continue to work out your salvation with fear and trembling, for it is God who works in you to will and to act in order to fulfill his good purpose” (Philippians 2:12–13). In this passage, God works, but so do we. Recognizing this truth helps me appreciate Miller’s philosophical and psychological insights. Though psychology and philosophy on the one hand often are pitted against religious faith on the other hand, Miller shows that they need not be in this instance. Becoming the people we ought to be is our moral responsibility, to be sure, but it is also a gift of grace. In the end, sanctification is not an either God or us, but both/and. The Character Gap is helpful precisely because it shows us what we can do to improve our character, even as it recognizes that divine assistance is needed. Christian B. Miller, The Character Gap: How Good Are We? (New York: Oxford, 2017). Put off your old self (verse 22). Be renewed in the spirit of your mind (verse 23). Put on the new self (verse 24). In Ephesians 4.25–32, Paul applies this process to five case studies. Second, anger: “Be angry and do not sin; do not let the sun go down on your anger, and give no opportunity to the devil” (verses 26–27). Anger is a legitimate response to injustice, at least initially. 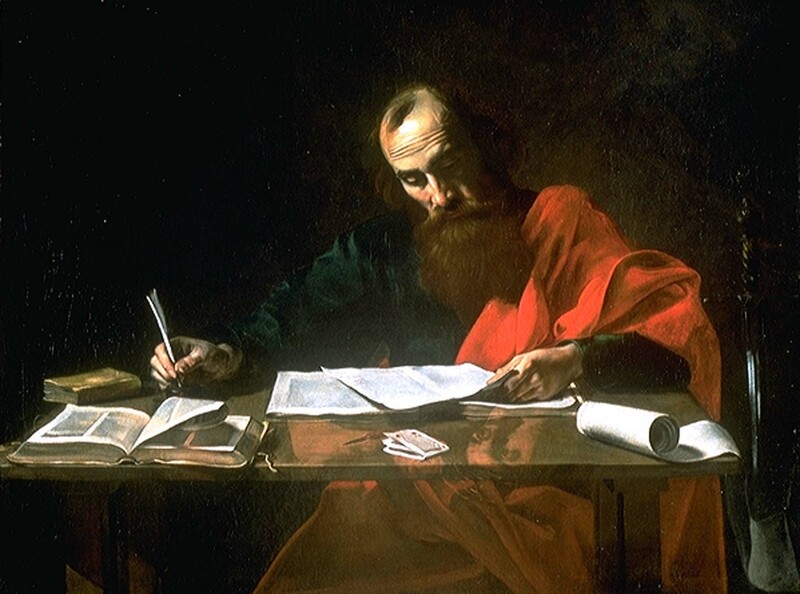 But it is possible for “righteous anger” to become “unrighteous rage,” which is why Paul writes both “Be angry” and “do not sin” in the same sentence. Unrighteous anger is the old-self behavior that needs to be put off. Quick resolution of grievances is the new-self behavior that needs to be put on. Why? A failure to deal with anger allows a little bit of hell into your heart. Third, theft: “Let the thief no longer steal, but rather let him labor, doing honest work with his own hands, so that he may have something to share with anyone in need” (verse 28). Paul is most likely referring to individuals who are freeloading off the church’s generous social welfare programs. Such freeloading by able-bodied workers is tantamount to theft. The antidote to freeloading is hard, honest work. Why? We work to provide our own needs, as well as the needs of others. Fourth, unwholesome speech, that is profanity, obscenity, sarcasm, and insult: “Let no corrupting talk come out of your mouths, but only such as is good for building up, as fits the occasion, that it may give grace to those who hear” (verse 29). The antidote to unwholesome speech is praise, encouragement, sincere compliments, and constructive criticism. A renewed mind recognizes that our words are means of divine grace to others. Fifth, divisiveness: “Let all bitterness and wrath and anger and clamor and slander be put away from you, along with all malice. Be kind to one another, tenderhearted, forgiving one another, as God in Christ forgave you” (verses 31–32). Notice the stark choice: The old self divides a community through malice, but the new self unites it through kindness. A renewed mind knows that we must pass along to others the very same forgiveness God has given us through Christ. Let us strive to change every behavior that grieves the Holy Spirit (verse 30), whatever that may be!